Fishmass was awesome last Saturday and the fishing/camping season is on! 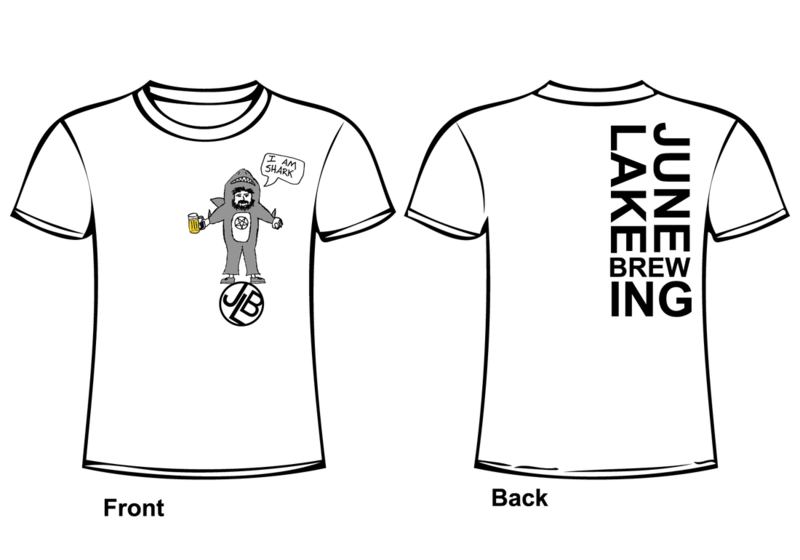 That's right, June Lake Brewing's 2nd anniversary is less than a week away, so get your party hat ready. Monday June 20th the festivities will kickoff at 6am with the start of the first ever Red Yeti Challenge. Victims will voluntarily self-orient to seven disparate beer stops where they will be required to fully consume a provided beer while being berated and discouraged by a member of the JLB Team. 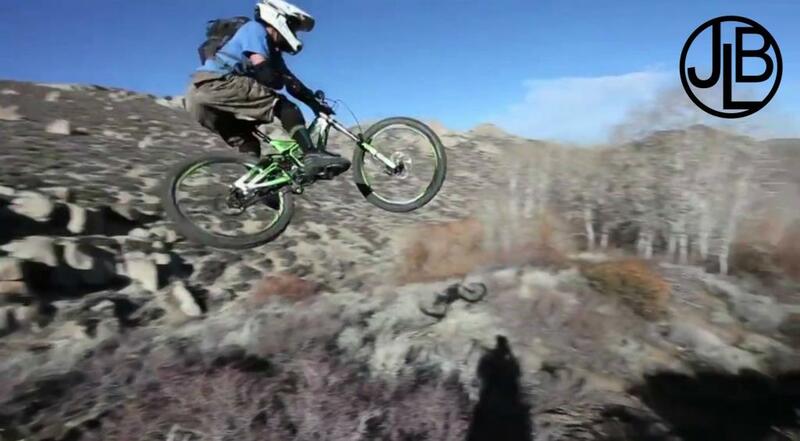 With $800 in cash prizes, 4,800' of ascent/decent and over 14 miles to cover, the Red Yeti Challenge will criple you. For those not into self punishment, the party will officially kickoff at 11am when we will open the expanded tasting biergarten (aka our parkinglot) to the frothing masses. With beer specials, food from Ohanas395, live music and a yet to be determined physical challenge, this will be a fun time for all. Oh yeah we'll also be releasing our limited edition 2nd Anniversary tshirt (only available in person, first come first serve), which is bound to sellout (check it out below). So be there Monday June 20th to witness history. For the anniversary we will be releasing our barrel aged version of the oh so popular Silver Lake Saison. We filled a couple of our Pinot Noir wine barrels with our saison and then food processed 20lbs of organic hand picked cherries from Apple Hill Ranch (just south of Bishop in Wilkerson) and poured that glorious slurry of yum straight into the barrels on top of the saison. Also we dosed one 15.5 gallon keg of Archimedes Red with Madagascar vanilla beans soaked in bourbon. 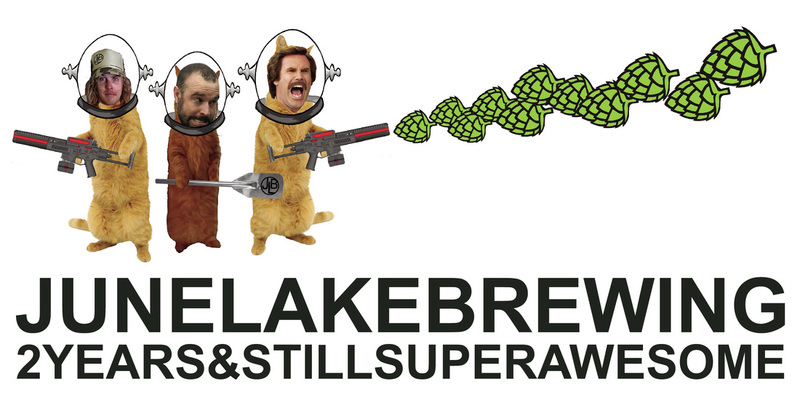 Both of these beers will be unleashed on the public at the anniversary so be there. We can safely say we warned you (it's been directly stated it will sellout in the past six JLBooze Letters), but the 4th Annual June Lake Autumn Beer Festival beer garden is now sold out. The festival (Saturday October 1st) is free and open to the public, but all of the available tickets for the beer garden have been purchased. If you really want a ticket, but missed the boat we advise checking the eventbrite page on the regular. In the event someone wants to refund their ticket, a ticket will be added back on to the page and will be up for grabs to the first person who spots it. Yup June Lake was officially founded 100 years ago with the creation of the Rush Creek Hydroelectric Project and Roy Carson's (an employee of the project) creation of Carson Camp at Silver Lake. Now known as Silver Lake Resort, Carson Camp was the first recreational destination in the valley for the public. 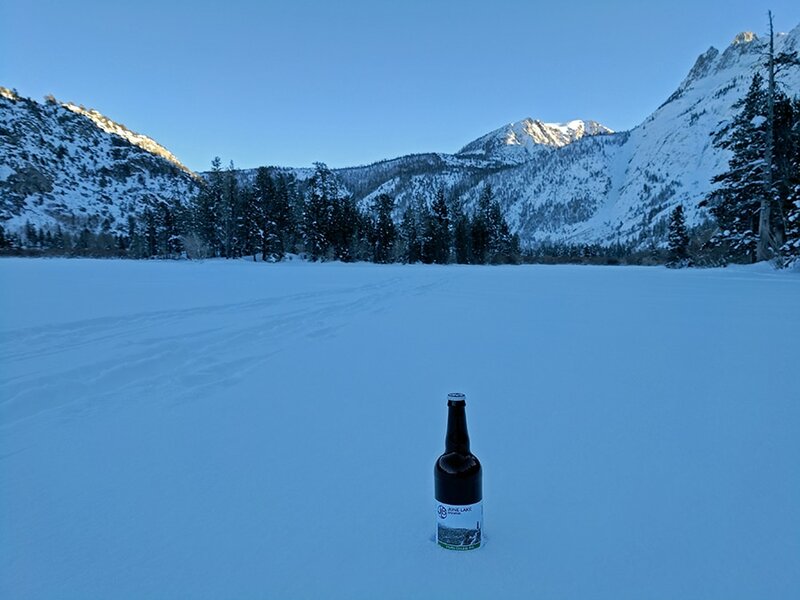 So June Lake turns 100, and on June 20th (Summer Solstice) JLB is turning 2! Though not as super mega as turning 100, we're all over the moon to be potty trained, out of diapers and walking. 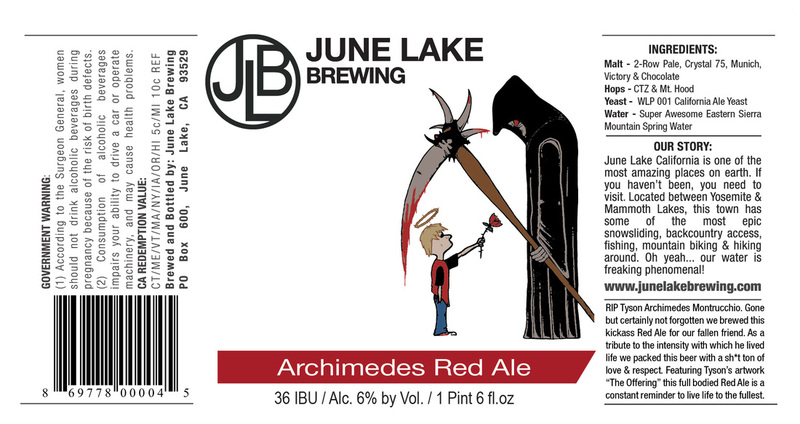 To celebrate both of our birthdays, JLB will be holding a party Monday June 20th in our parking lot and we'll be releasing a crazy cherry/Pinot barrel aged Silver Lake Saison (in homage to Silver Lake Resort) along with a vanilla version of our Archimedes Red. 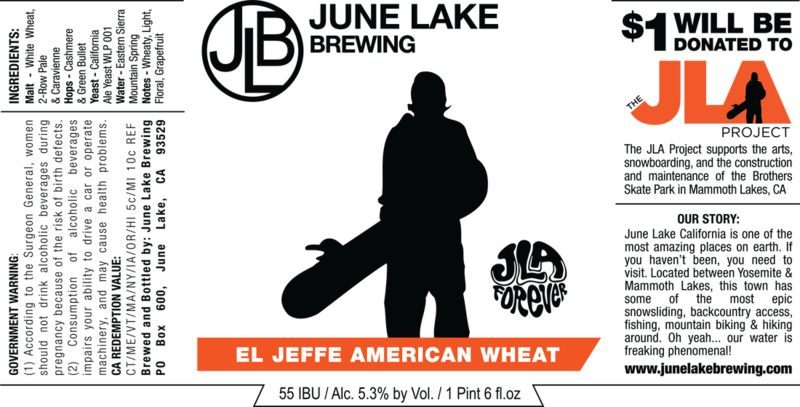 Events - June 20th - June Lake Brewing 2nd Anniversary (free!) July 1st - 2016 VCDH Series Kickoff Race (also free!) 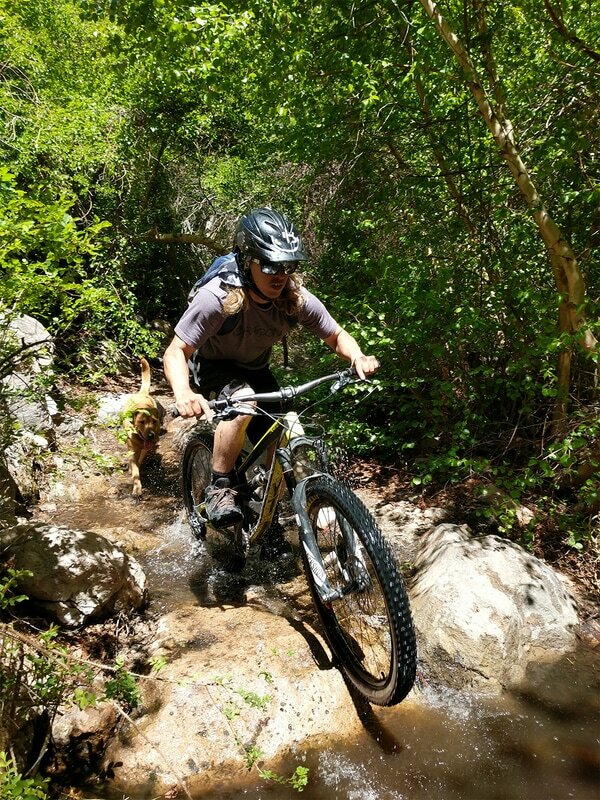 July 9th - June Lake Triathlon July 15th-19th - USA Cycling Nationals at Mammoth Aug 4th-7th - 21st Annual Blueszapalooza Sept 15th-18th - Kamikaze Bike Games Oct 1st - 4th Annual June Lake Autumn Beer Festival With 64 tickets left for the Biergarten at the 4th Annual June Lake Autumn Beer Festival, to be held on Saturday October 1st, you need to buy your ticket NOW! GET YOUR TICKETS HERE! The overall festival is free, open to the public, kid friendly and Super Awesome, but if you want to be part of the beer tasting debauchery, you will need one of these 64 remaining tickets. It's spring time in the Eastern Sierra and the water is flowing. This means good riding, amazing fishing and above all Super Awesome Beer! In just over a month we'll be celebrating our 2nd Anniversary by throwing a huge party and releasing a crazy version of our Silver Lake Saison we aged in Pinot Noir French oak barrels for five months. As if that wasn't enough we then dosed each barrel with around seven pounds of pureed cherries freshly picked from Apple Hill Ranch (located in Wilkerson just south of Bishop), and aged the mind melting concoction for another month in the barrels before packaging for your enjoyment. We also have a limited release single 15.5g keg of Archimedes Red Ale we dosed with concentrated Bourbon soaked Madagascar vanilla beans that we'll roll out for the 2nd Anniversary Monday, June 20th (Summer Solstice). 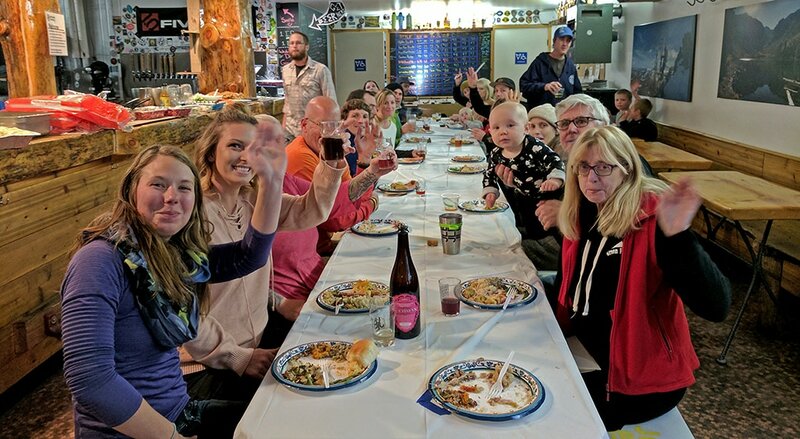 With just over 100 tickets left for the 4th Annual June Lake Autumn Beer Festival, to be held on Saturday October 1st, your chances of buying tickets is quickly dwindling. THIS EVENT WILL SELL OUT SOON! So if you want to come to this super awesome event of beery wonderfulness, GET YOUR TICKETS NOW! And if you already have your tickets please disregard this public service announcement and don't forget your water wings.